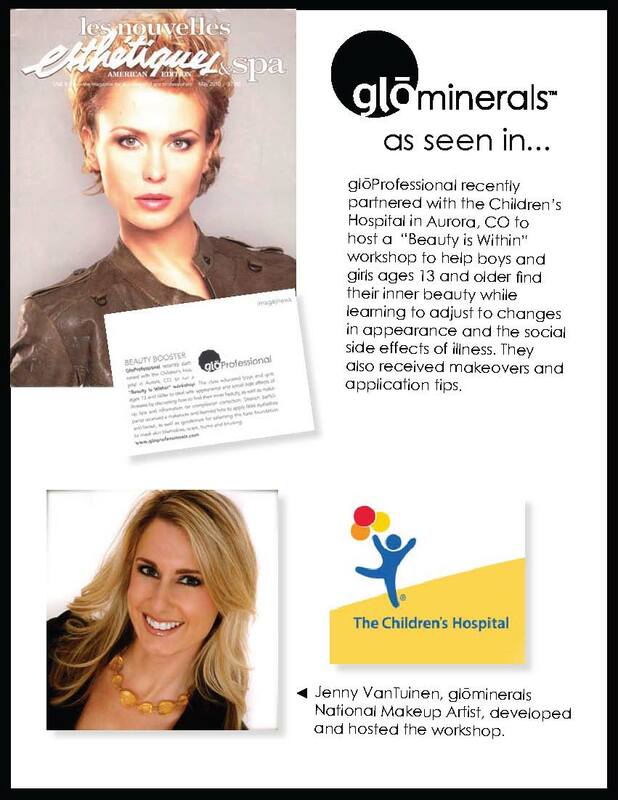 gloProfessional, leading mineral makeup, skincare and spa brand dedicated to the professional and consumer markets, has partnered with the Children’s Hospital in Aurora, CO. On March 8, 2010 the "Beauty is Within" class, developed by glominerals National Makeup Artist Jenny Van Tuinen helped to educate girls and boys ages 13+ deal with the appearance and social side effects of illnesses by teaching them how to find their inner beauty along with makeup tips and complexion correction. Boosting self confidence, the class helped to unleash not only the children's outer beauty, but focused on bringing out their beauty within. Says Van Tuinen, "As a makeup artist I rarely get the opportunity to work with children, so I was ecstatic to create the Beauty is Within program. I thought that it would be a great opportunity to teach not only the fundamentals of makeup but help the children discover their natural beauty. A lot of young girls are excited to wear makeup for the first time, we used that excitement to buildup their self-esteem so hopefully these children feel better about themselves when looking in the mirror." Along with routine makeup application, through the mini-makeover session participants learned how to apply false eyelashes and eyebrows for those who had lost them due to illness and apply base foundation to mask skin blemishes, scars, burns and bruising. 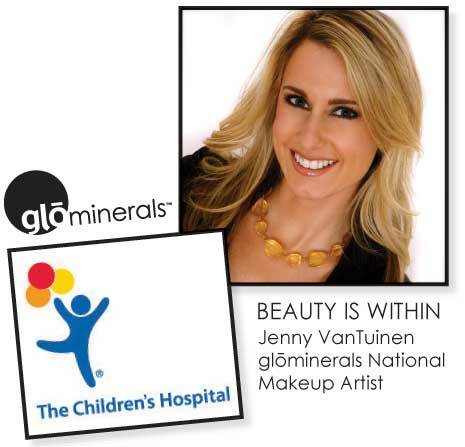 glominerals utilizes natural, high pigment minerals to deliver a range of flattering, fashionable colors that look good on all skin types. Formulated with an exclusive blend of antioxidants including vitamins A, C, E and green tea, glominerals provides nutrients that are vital to maintaining skin's healthy radiance. gloProfessional's passionate commitment to research, education and innovation continues to inspire professional and at-home skincare, body care and mineral-based makeup collections that are as pampering as they are results-oriented. Including glominerals and glotherapeutics, gloProfessional is the premier resource for makeup and advanced skin therapies for women and men of all ages, estheticians at premier spas and salons, and prominent dermatologists and plastic surgeons globally.